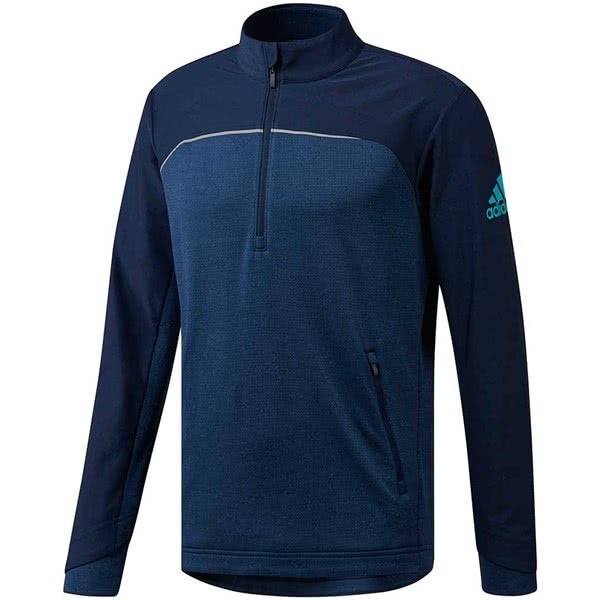 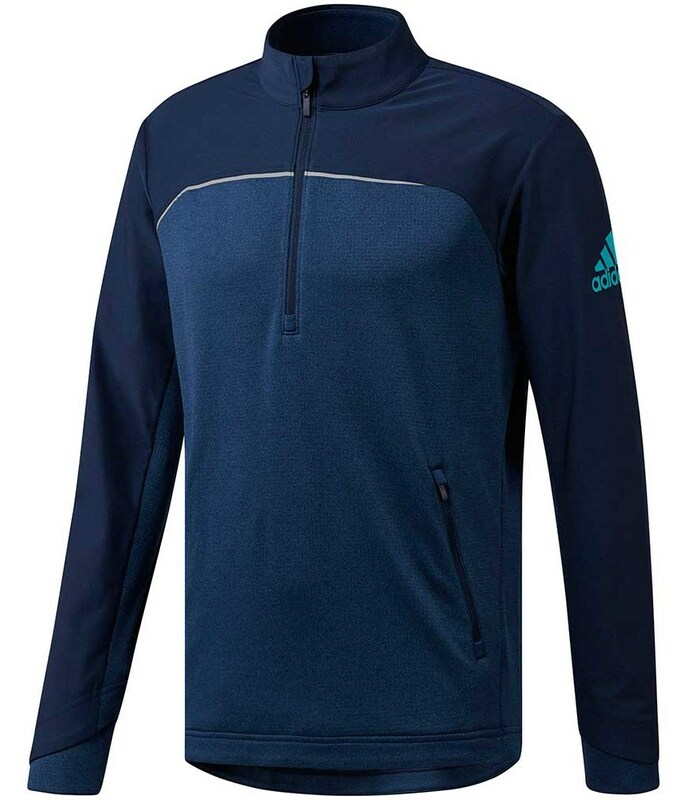 The adidas Go-To Quarter Zip Pullover will provide the perfect protection against the cold, wind and rain whilst providing a stylish and comfortable fit. 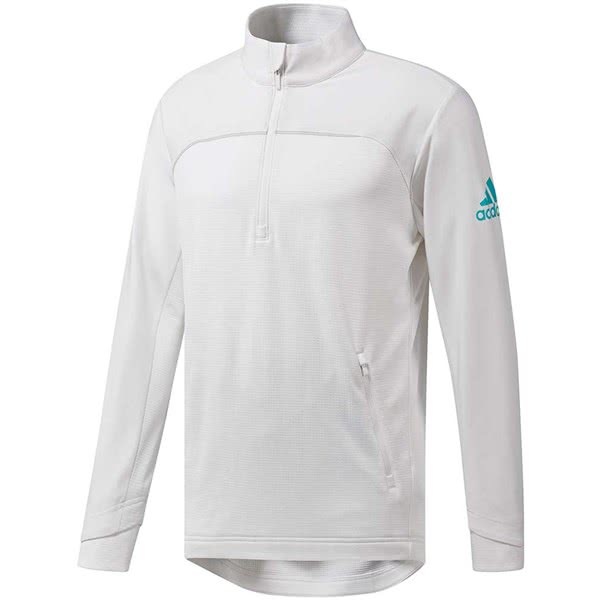 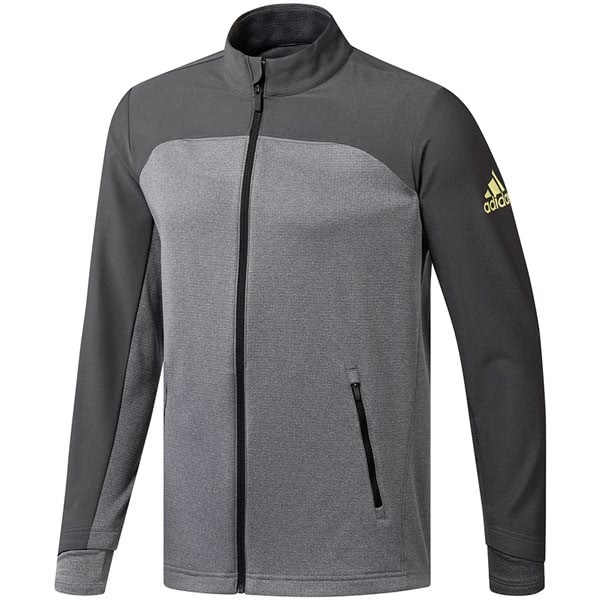 adidas have used a water-resistant fabric and combined it with a fleece lined shell that will deliver protection and warmth. 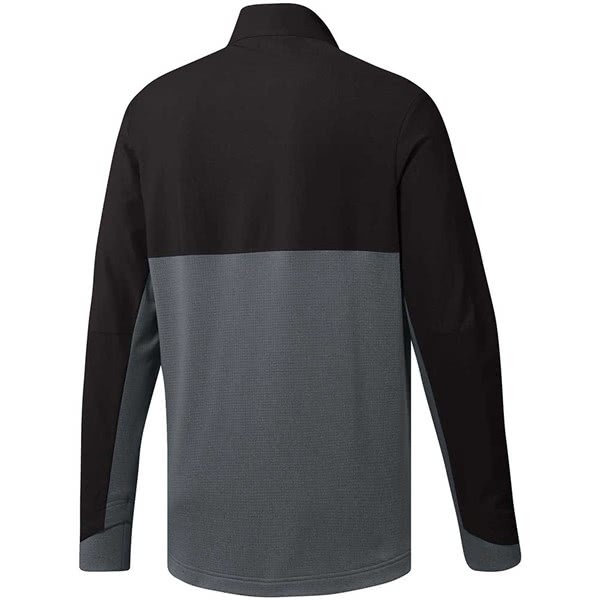 A drop tail hem design provides extra coverage and protection. 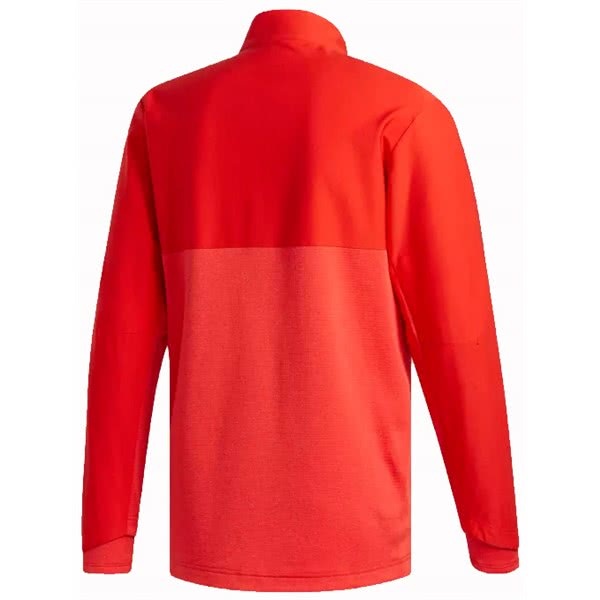 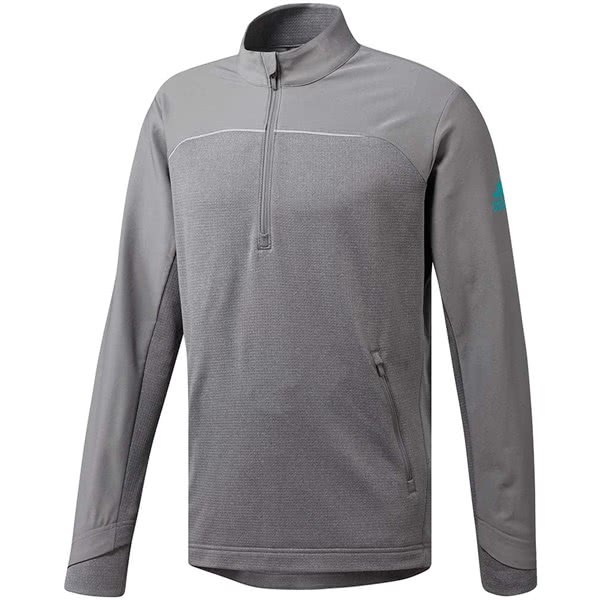 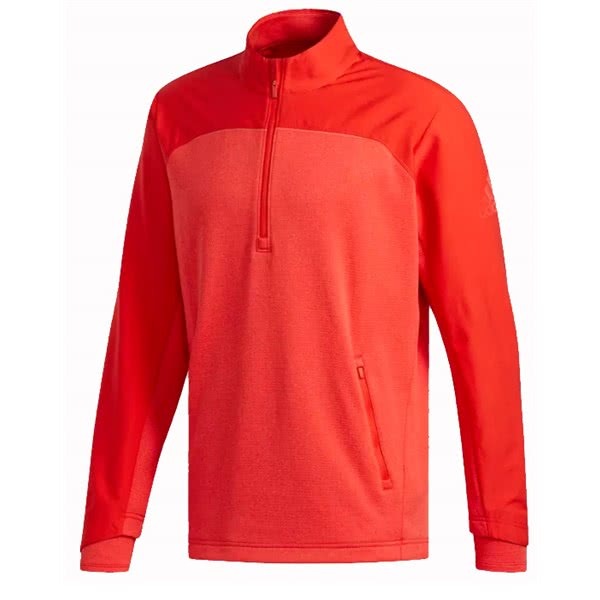 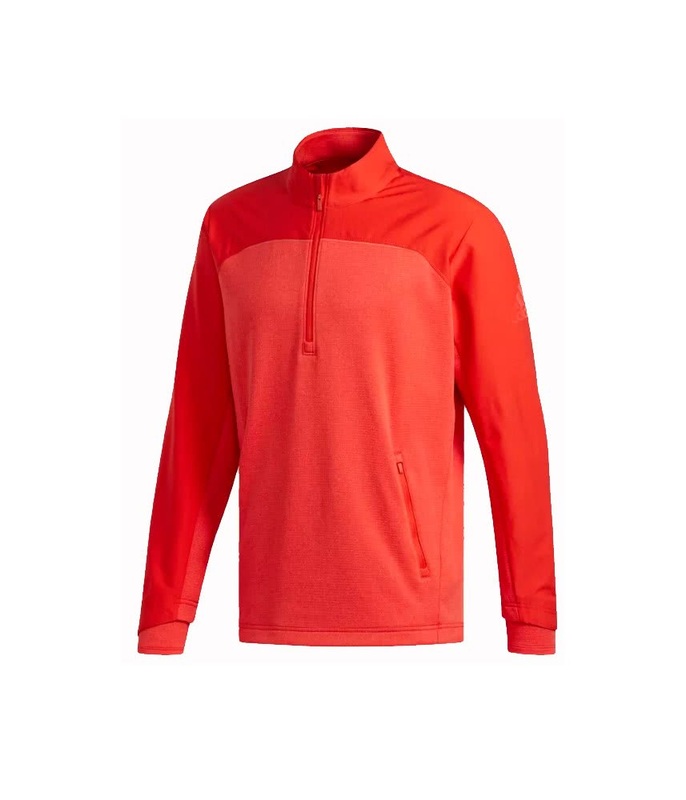 The half zip stand up collar design provides enhanced coverage as well as ventilation that allow you to conveniently tailor to the weather conditions. 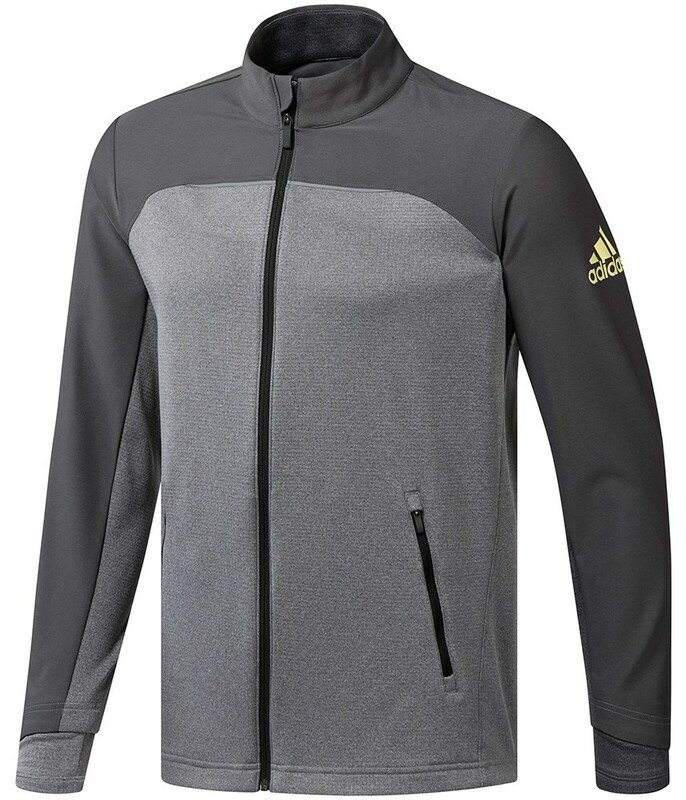 To provide enhanced movement during the golf swing adidas have used an articulated elbow design. 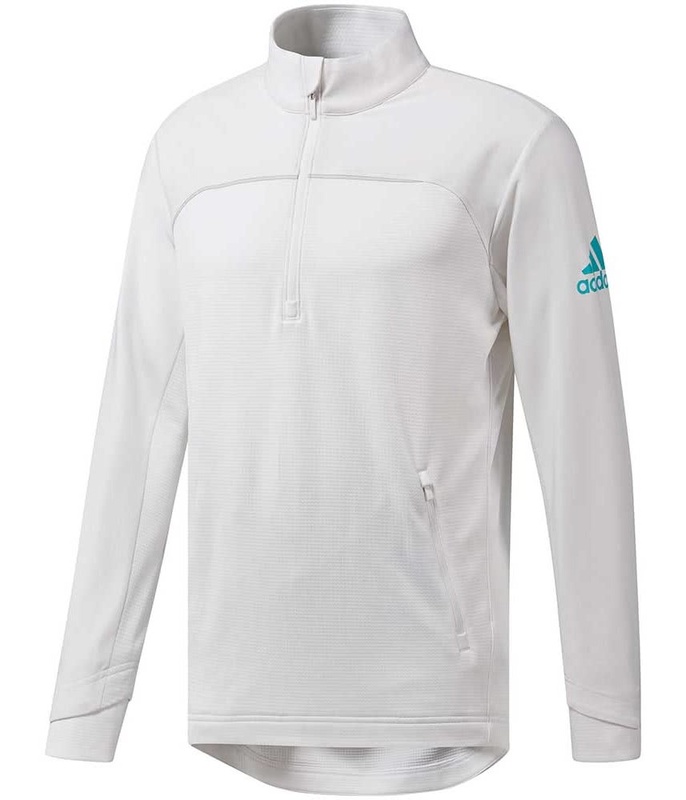 To make sure you stay entertained while practising adidas have incorporated an internal headphone pocket. 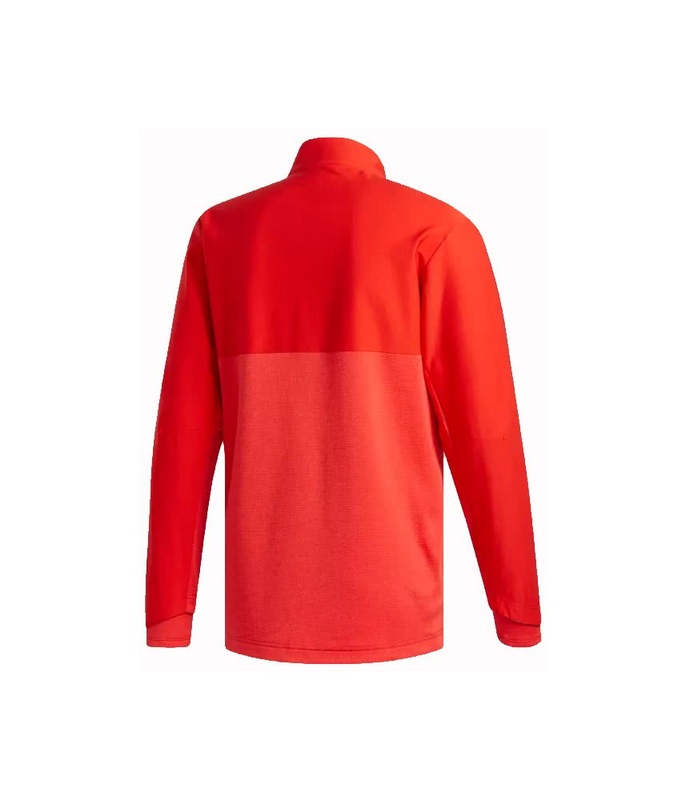 Articulated elbows for freedom of movement. 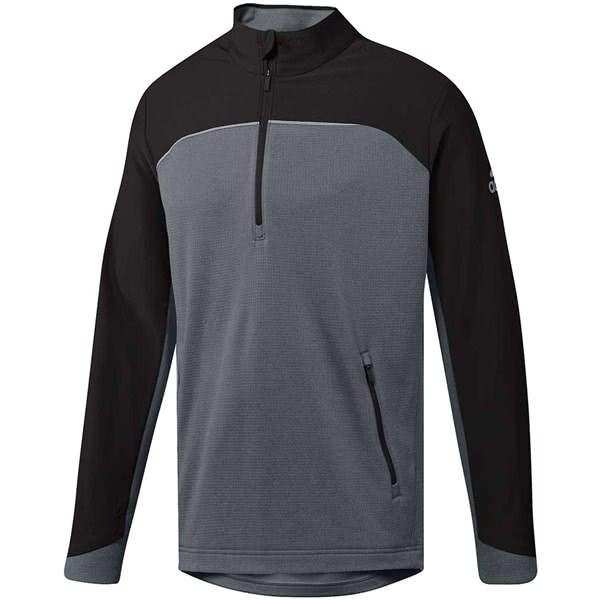 Water-resistant fabric combined with fleece-lined shell for all-weatherprotection. 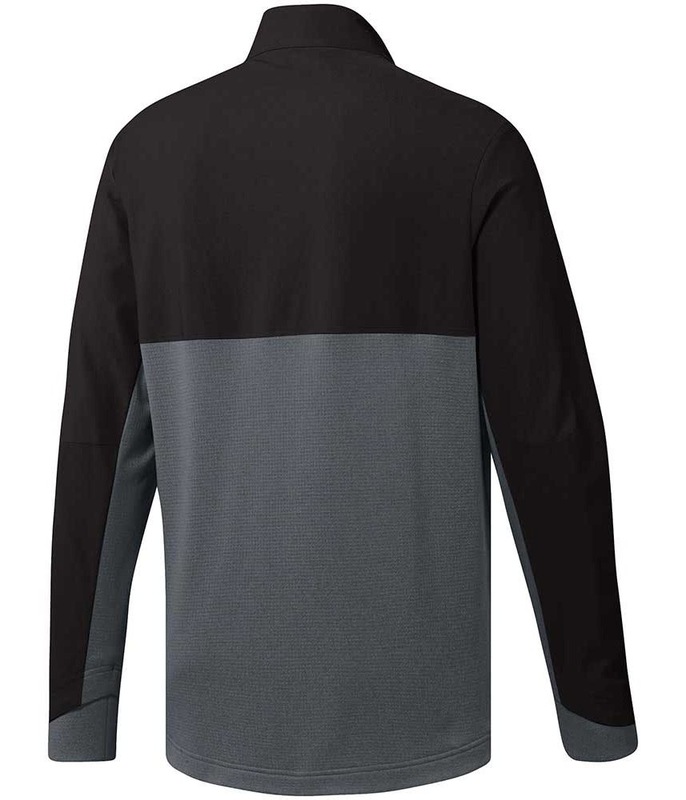 Lower body: 100% polyester interlock. 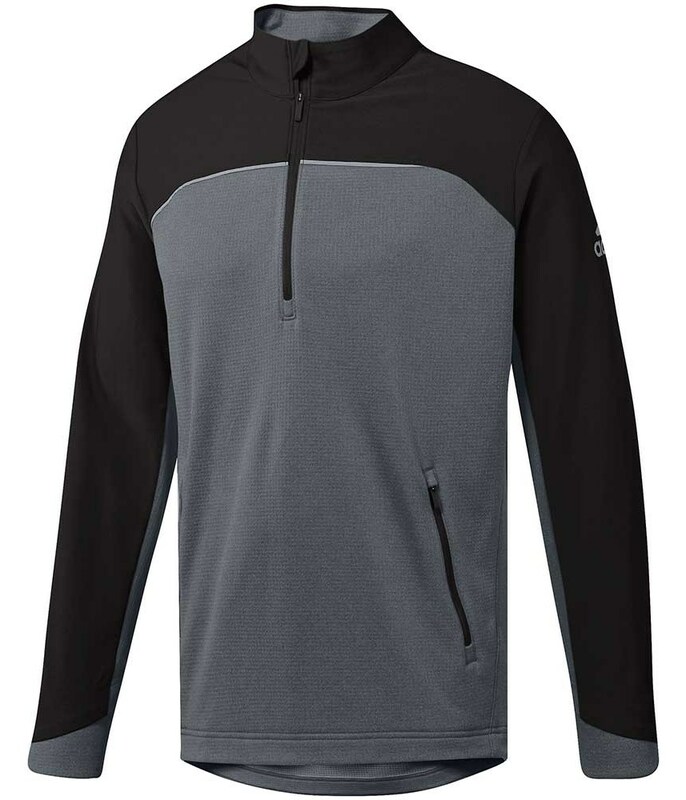 Design for a better fit for all stages of the golf swing. 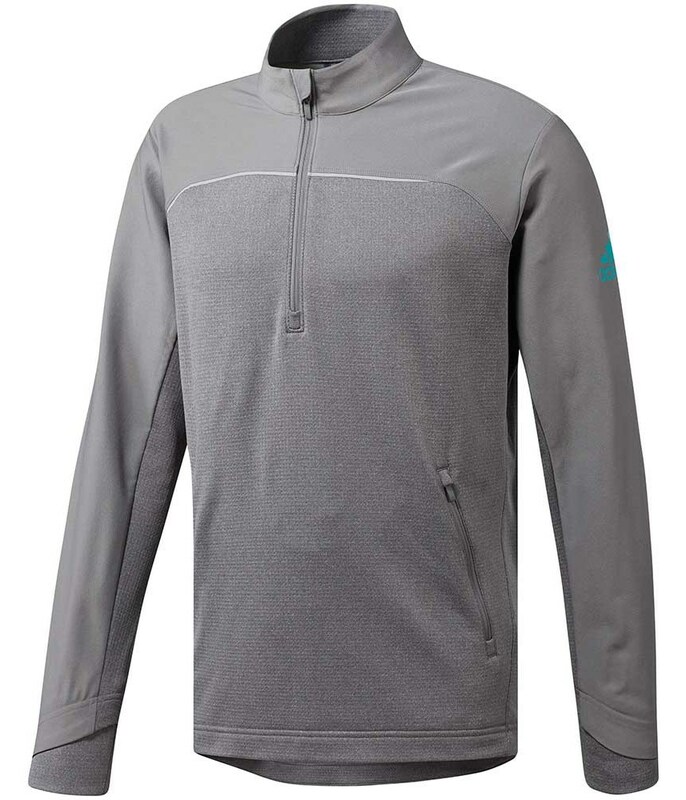 Combining water resistant fabric on the upper body and arms.